I had the distinct pleasure of being chauffeured to some select Upper Hudson Valley wineries this spring by Premiere Transportation's "Limo Bus." The trip was eye-opening, and our driver John made it quite enjoyable by catering to our every need and helping us safely reach each destination. I honestly had no idea that our region was home to so many local wineries until being introduced to the new website for the Upper Hudson Valley Wine Trail a few weeks back. As a seasoned wine tourist of the Finger Lakes and picturesque Shawangunk (Lower Hudson Valley Wine Trail) in the past, I feel very fortunate to now have a local wine trail closer to home that makes a great destination for a "staycation" or day trip. A little about me and my tastes (my palate, if you will), so you can make your own best judgment based on your own palate. I tend to like dry and tarter wines, both reds and whites. My favorite whites tend to be super-dry Rieslings (I love Dr. Frank's Keuka Lake Dry Riesling, even though it seems a little different every time I have it), and I always err toward the Sauvignon Blanc. My favorite reds tend to be simple, bold and with just a little spice. I often fancy a nice blend; too much complexity or too much of any one flavor in a red can easily get lost on me. I do sometimes like a subtle vanilla, pepper, oak or tobacco undertone, but if I can pinpoint any one of those upon first sip then it is probably too much by the end of my glass. The below list of wineries will have some bullet points about each destination I have gotten to experience so far on the Upper Hudson Valley Wine Trail - as I visit them (one at a time, or possibly on another future tour), I'll add more details, so be sure to check back! This was a really fun stop on the trail map located right in the heart of Lake George Village. The staff was incredibly energetic and catered both quickly and well to the crowds of guests. They also offered locally made crackers, jellies, chocolates and "wine slushies" that were quite good - perfect for those who love a sweet wine. My friend favorite (sweet): yes, you guessed it, the best selling Strawsling! 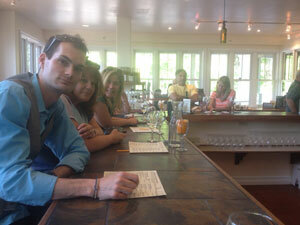 Do not overlook this winery, tucked away a little off the beaten path. The backwoods setting was charming and quaint, Gary, the proprietor, is noticeably passionate about his craft; they actually grow some of their grapes on the property, and the "out house" (with modern plumbing) is just adorable. My favorite (dry): the Chardonnay, which if oakiness of a chardonnay is usually a turn-off for you, give this one a chance because it is actually un-oaked! Swedish Hill Winery's Tasting Room in Saratoga is probably the smallest venue, but it is in the heart of bustling Downtown Saratoga Springs and has some of my favorite wines from my prior wine tours in the Finger Lakes - their actual wineries (Swedish Hill, Penguin Bay & Goose Watch) are on Cayuga Lake, Seneca Lake and in Lake Placid! The Saratoga Winery is the most spacious of the local wineries. They have flowing indoor and outdoor vignettes that can accommodate both large and small parties well. They also have wood fired pizza available from 6-9 p.m., which could make this the perfect, relaxing "last stop." Also note that they have a large selection of leggy Melomels (fruity Mead-like wines). Thirsty Owl is another Finger Lakes Winery (Cayuga Lake) that has made a 2nd home in Saratoga Springs down on South Broadway. 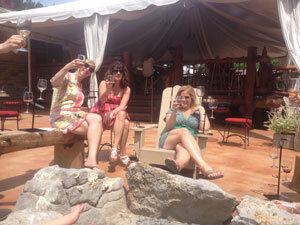 You didn't know there were so many wineries in Saratoga, did you? The restaurant at Thirsty Owl Saratoga offers a casual fine dining atmosphere that is just casual enough to make it a lunch or dinnertime stop on your overall tour. The people-watching from the front porch bistro tables should be superb come thoroughbred season. My favorite (dry): 2010 Cab Sauv | Syrah | Malbec "trilogy"
Uses sustainable agriculture to operate in the most environmentally concious way possible. Specializing in hand-crafted natural wine crafted from cold heary grapes, with minimal sulfites and free of flavor or color enhancers. Historic 150 acre farm in Greenfield NY. Scheduled to open in 2015! Crafts a wide variety of wines from fruit wines to seasonal meads - crafted with fresh fruit, honey and grapes. In addition, Johnston's makes their own jams and jellies. Specializes in Burgundy style reds from their vineyard, as well as dry New York State whites. Vineyard and winery tours available upon request. Specializes in bold, northern climate grapes. Scheduled to open fall 2014! Located on a 150-acre thoroughbred horse farm. Offers tastings, tours, seminars, a wine school, and special events. 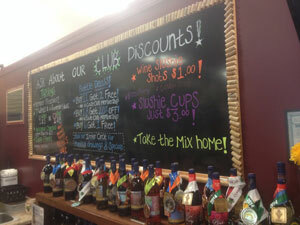 Specializes in six varietals of wine - from sparkling red, light whites and special seasonals. Specializes in growing northern grapes and hand-crafting estate bottled wine. 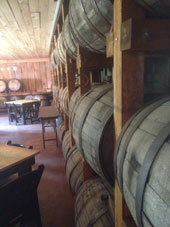 Family-owned farm winery, vineyard and tasting-room located east of the Hudson River. 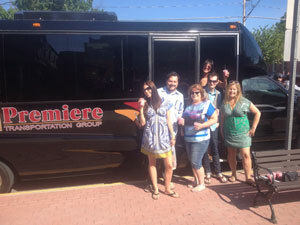 The folks at Premiere Transportation added convenience to the trip and were just phenomenal. I would highly recommend going with them. They can help you figure out which wineries are most feasible to hit within given time parameters, so you might find it easiest to give them your top 3 choices and then pay them to map out a full tour and safely transport you to and from these amazing destinations. Premiere has town cars for intimate trips, limos for groups of 4+, a "sprinter" for business-class, economical tours (up to 24 passengers), limo busses (up to 26 passengers), and even a "luxury liner" (up to 35 passengers). Give them a call in advance to book your tour transportation (518) 459-6123. Just remember that you might want to reserve a couple seats aboard for a cooler to store some fruit, cheese, crackers, water -- and don't forget to pack a pair of back-up shoes! The best part of the whole experience was spending quality time with friends as we traveled from winery to winery enjoying impromptu photo ops, off topic conversations and bonding over the experience. If you have a free day or two and have yet to experience the Upper Hudson Valley Wine Trail, this is one trip I would highly recommend be put on all wine connoisseurs to-do list!